You seemed to have met the situation before- that PC hard drive is getting larger but somehow it is filled up not long after. This can be caused by a solid-state drive (SSD), which offers much less hard drive space than traditional hard drives. The other reason is that your computer is filled with too many junk files. If you want to reduce the number of unnecessary files on your disk drive to free up disk space on Windows and make your PC run faster, there are two tricks should help you to regain more hard drive space for important files and programs by removing the useless junks cluttering up your Windows disk. 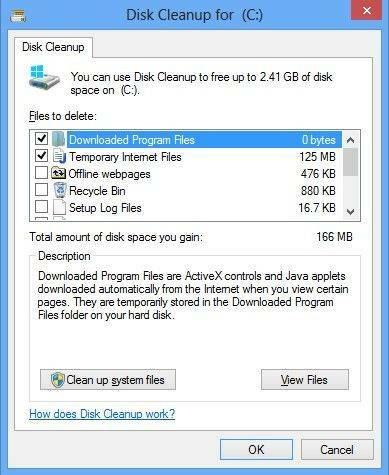 Disk Cleanup is a Microsoft software utility and included in all subsequent releases of Windows. As can be seen in the picture, Disk Cleanup can delete Temporary Internet Files (associated with Internet Explorer), Downloaded Program Files, and Offline webpage. Disk Cleanup also allows you to empty the Recycle Bin, delete Temporary Files, and delete Thumbnails. 1. On the Desktop screen, press Windows key + R to open the Run dialog. 2. In the Run text field, type cleanmgr and press Enter. 2. Click on Programs > Accessories > System Tools. 3. In System Tools, click the Disk Cleanup utility. 2. Click the Run option. 3. In the Run text field, type cleanmgr and press Enter. 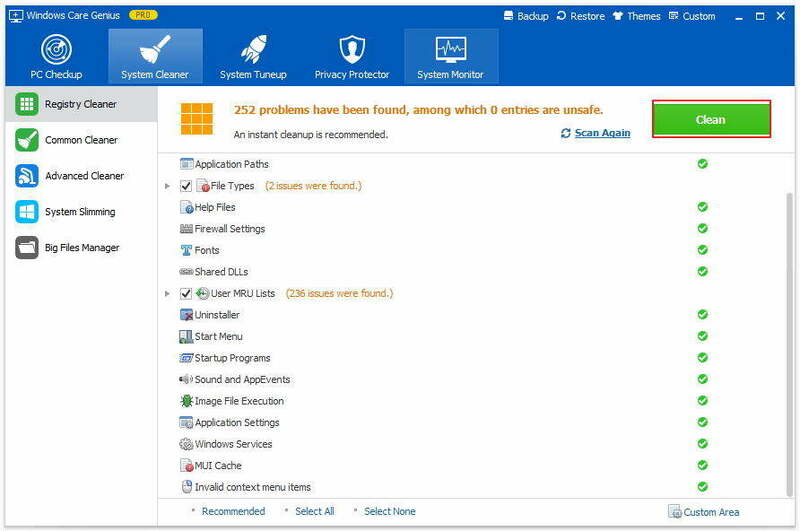 Here comes the third-party software called Tenorshare Windows Care Genius, which is a world-class PC clean and speed up tool for Windows PC, will remove temporary files, empty the Recycle Bin, and remove a variety of system files and other items that you no longer need. This Windows 10/8.1/8/7 disk cleanup tool also enables to one-click to checkup and cleanup Windows system and compatible with Dell, Lenovo, HP, Asus, Acer, Toshiba, Sumsung and other computers. To wipe out unnecessary files for Windows, firstly, download free Windows cleanup tool-Tenorshare Windows Care Genius, install and launch it on your Windows PC. Step1: Tap System Cleaner and then click Big Files Manager. Unfold Scan Location to tick any hard drive you want. Then click Search and the results will be listed below fast. Step2. Select the entry you want to delete and click Delete at the upper right corner. After the few clicks, the disk junk files will be clean up completely. Now, come and give this disk cleanup tool for Windows a free download to enjoy the faster computer as the new one! 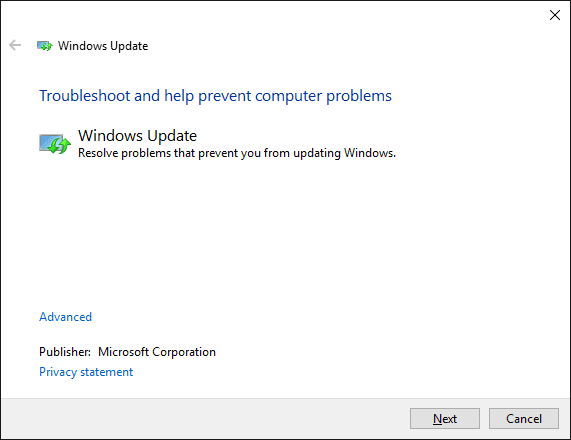 "Disk Cleanup Is Not Working", What to Do?